AMAZING times, especially considering the difference between topspeed and 500m. 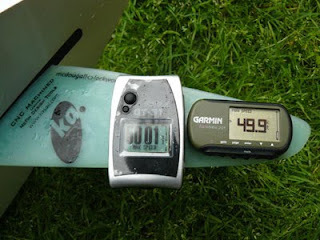 GPS-Speedsurfing is again at another level, higher/better/faster!!! get lots of runs in before the tide changed. this time all the way to the BBQ, thanks for moving the car Rupert. with same conditions, and maybe better with a lower tide. result on stock, off the shelf gear, hats off to you both!. considering the size/weight for some of you guys. 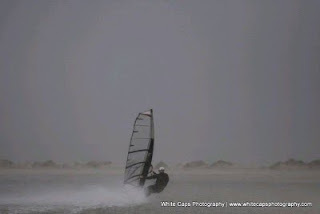 Jodi for capturing the moment whilst we took on the wind and sand. Speed Fortnight 2009_Spotty from drift media on Vimeo.